for the invisible realities veiled from you. Tawbah or turning to God or penance / repentance is one of the foremost action and pre-requisite for purification. For the ordinary people repentance means to leave unjust and ungodly acts and for those who are near to God, repentance means not to waste breaths void of Divine Remembrance. The significance of Tawbah or repentance is so important that the mission of Christ, peace be upon him, of calling people to God began by the teaching, "Repent, for the kingdom of heaven is near." The Arabic word for repentance is Tawbah, and from various translation of Greek Bible (Repent, do penance, let your hearts be turned from sin, Turn to God), it is clear that Christ was using the same term. Within human being are installed elements which has the tendency to pull him downwards, they are anger, lust, vain pride or boasting, lying, fornication, gluttony, over indulgence, greed, envy etc. As long as the traces of such weakness remains within human being, one remains in the first level of necessity for repentance to purify one's self. Hazrat Yakub Badarpuri has said, "If you want to polish your heart clean as a mirror then drive away ten things out of it. There are: lust, greed, miserliness, forbidden things, speaking ill of others, to lie, envy, vain pride, jealousy, showiness in worship and piety." The true repentance is such that human being sincerely wishes to turn away from past wrong doings and mistakes and the best of repentance according to the People of the Path that which is accompanied with tears. The Divine Messenger has informed glad tidings for those who shed tears in repentance saying that it helps the person to be far away from hell fire. Just like it was the first message that Christ, the Messenger of God was transmitting, so it is one of the central commandment of the Quran. The intention of Muraqaba of Tawbah / Repentance: "O Allah! I pay sincere attention to my inner heart, by the mediation of Prophet Muhammad's sacred heart, my heart pays sincere attention to the Majestic Throne of Allah. May the Fayez of Tawbah arrive upon my heart. Ameen,"
After this the meditator will contemplate silently: I must not be hopeless from the Rahmah (grace, exclusive love) of Allah. Indeed Allah forgives all. One must pay attention to this because only the wretched and miserable ones become hopeless of the boundless mercy of Allah. So it is impolite to the Lord of Mercy to become destitute of hope for God's forgiveness. In the life, both for favorable and unfavorable conditions one has to remain firm on the hope of God's mercy and blessing. And lest there be any shift from this, help must be sought from God. The Divine Voice speaks "O son (and daughter) of Adam, so long as you call upon Me, and ask of Me, I shall forgive you for what you have done, and I shall not mind. O son of Adam, were your sins to reach the clouds of the sky and were you then to ask forgiveness of Me, I would forgive you. O son of Adam were you to come to Me with sins nearly as great as the earth, and were you then to face Me, ascribing no partner to Me, I would bring you forgiveness nearly as great as it." O Lord! Truly Thou art the Praised and the Noble. O Allah! Forgive the sins I have committed in the past, and my sins in the present, committed secretly and openly, and whatever wrong I have brought upon myself, and whatever wrong Thou knowest I have done. Truly Thou art the Beginning and Thou art the End. 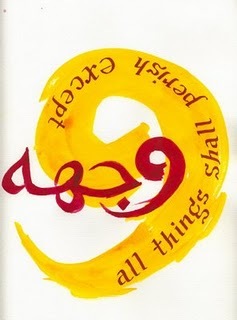 There is no god except Thee, Glorious art Thou, and I am truly a sinner, O Allah! I truly seek refuge in Thee from the punishment of the grave, from the punishment of Hell, and from the temptations of life and death, and from the Anti-Christ. O Allah! I have done much wrong to myself, and greatest wrong. There is none other but Thou to forgive me, therefore forgive Thou my sins. It is Thine to forgive, Truly Thou art most Forgiving, most Merciful. O Transformer of hearts! Make my heart firm in devotion to Thee and in obedience to Thee and in faith in Thee, O Allah! 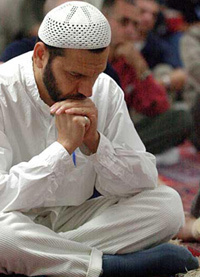 Intention: "I am paying sincere attention to my inner heart, by the mediation of the sacred heart of his holiness Muhammad, my heart is paying sincere attention to the Throne of God, the Most High. May the blessing of Ma'yiat e Hubb descend to my inner heart." And He is with you wheresoever you are. 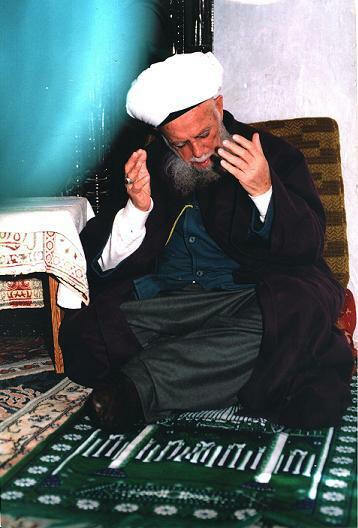 Intention: "I am paying sincere attention to my inner heart, by the mediation of the sacred heart of his holiness Muhammad, my heart is paying sincere attention to the Incomparable Being of Allah where is found all the Holy Names and Attributes. May the blessing of the reflection of Holy Names and Attributes descend to my inner heart." 8. Taqbeen (Source of Creativity). According to Allama Fultoli Saheb Qibla the method of Muraqaba for this is the following: One imagines that one is no more, the temporal body has expired and the body has turned into ashes and they are flying scattered in the wind. Everything else has also perished and have become non-existence. The heart has to sit with this mithal / picture for long. This muraqaba is beneficial to attain Fana or dissolving into God / annihilation in God..
Do not abandon the invocation because you do not feel the Presence of God therein. is worse than your forgetfulness in the invocation of Him. to one wherein everything but the Invoked is absent. And all success comes from Allah.